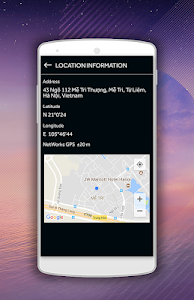 GPS Compass for Android is a smart compass free with map and gps navigation most easy, intuitive, usefull and simple to use. It allows you to convert your phone/tablet into a handy smart compass using device sensors compass. 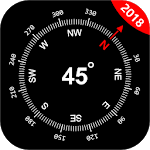 My compass app is a tool to search bearings (azimuth, directions) using embedded magnetic sensors. 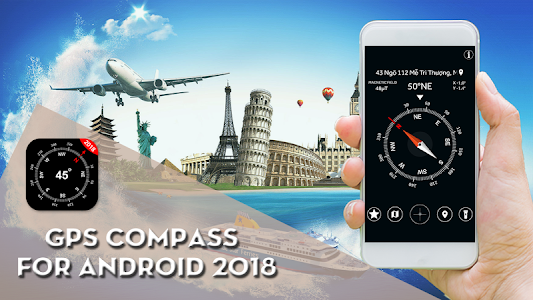 GPS Compass for Android provides the direction information in both analog, and digital formats with a beautiful user interface. The magnetic sensors are used to provide the direction information. The GPS values are used to provide the speed, and the altimeter data. The current location can be viewed in this digital compass app. 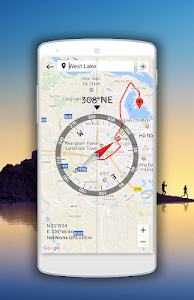 GPS compass for Android app can be used in your daily outdoor activities. If you are a scout or you are just going to travel or camping, this is a smart digital compass that should be on your phone/tablet and should be used everytime you need a smart compass free.
? Following are the features of this GPS Compass for Android ? - Ability to switch between true and magnetic true north. - Magnetic and true north are available, the app automatically takes care of variation. - The direction information are available. - GPS is used to provide the speedometer, and the altimeter values. - The current location is known through the GPS information. - True North (Default) or Magnetic North. - GPS Location (address, latitude, longitude). Orientation sensor is a hardware within a phone. If orientation sensor is not found message is shown, then no compass will work on your phone. It is not our app fault, it is your phone fault.
? 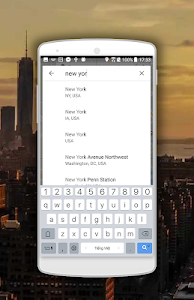 How to use smart compass for Android: ? 2. Turn your phone horizontally as the arrow overlaps the red double parallel lines, and check the red edge of the arrow point zero degree(0'N) otherwise the red edge could point south, then red edge points north, right side points east, left side points west and down side points south. GPS Compass for Android supports the following languages: English, Spanish, Portuguese, Russian, Indonesian, German and French ..
soon as possible. If you like the app, please help me 5 star review. Thank you. 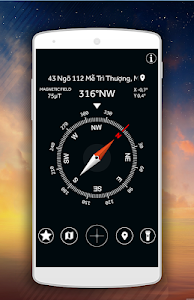 Similar to "GPS Compass for Android: Map & Navigation"